Amelia Rodriguez is currently a freshman at the University of Iowa. She is a member of the honors program as well as Alpha Chi Omega sorority, where she serves on the public relations committee. Her big idea began last year, when she was a senior in high school working with the Iowa BIG program. Sara Sarmiento is an Idea Girl from Miami, Florida. 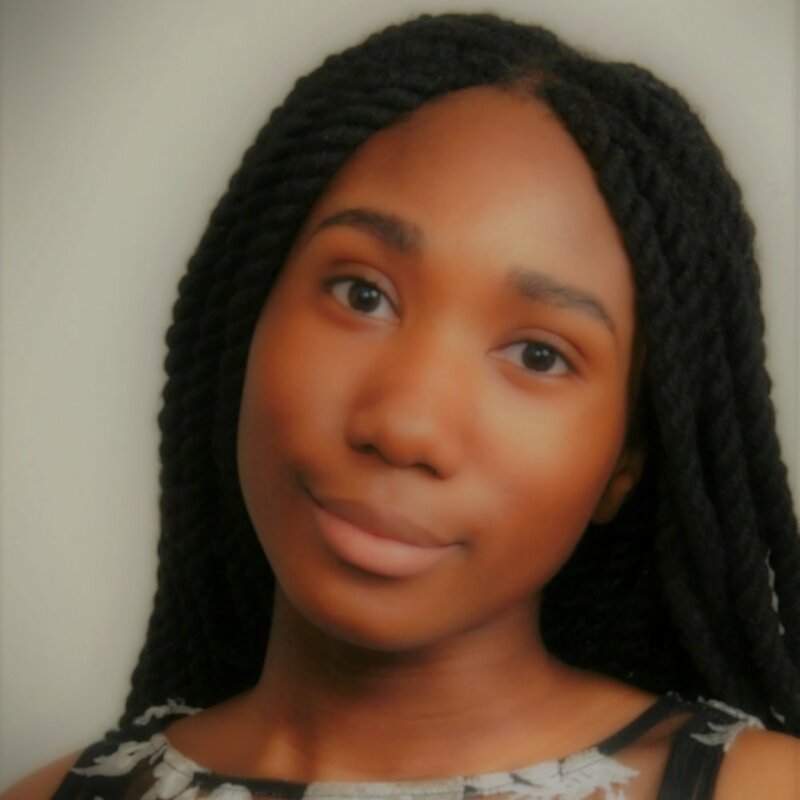 She is currently finishing up her senior year of high school and plans to attend Mount Holyoke College, an all-women's college, in the fall. She just received a full scholarship for her hard work. Her idea, The Artivist, is a project dedicated to providing a platform for young activists to promote social awareness by exposing issues through the use of art. Gabrielle Goodwin, aka Gabby, is an Idea Girl from Columbia, South Carolina, USA. When Gabby was younger, her mother grew tired of her barrettes and hair accessories always falling out of her hair. This began the creation of GaBBY Bows, a line of hair accessories that won't fall out of your hair. These accessories are now sold in retail stores across the country. At age 15, Celeste Rojas began her own grassroots organization called Girasoles en Marcha to empower Latina girls like herself using connections she already had. A year later, the high school student from Los Angeles, California, splits her time between school and her organization to help motivate the girls in her community. Cece is an Idea Girl from Kalona, Iowa who started a roller derby program for kids in her area. She noticed that there wasn't anything like it and begged her parents to begin a league that's inclusive of all genders, religions, races, ethnicities, and backgrounds. Hannah Jennings is a high school senior from Spirit Lake, Iowa. 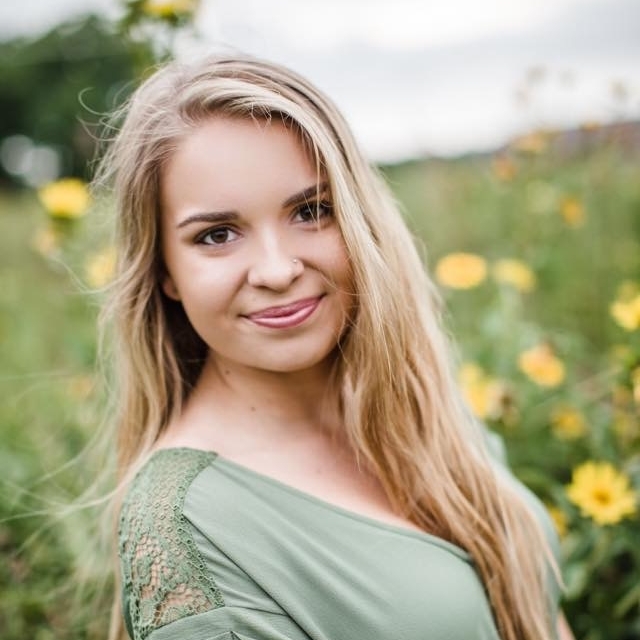 Even though she's still in high school, Hannah works for a marketing company, a creative co-op, and an independent clothing line all within the area. She also has a blog where she writes about mental illness and the importance of being kind. At just 8-years-old, Hannah Taylor founded The Ladybug Foundation, a charity that promotes awareness and assistance for homeless individuals. Now 22 and a student at McGill University in Montreal, Hannah has spoken to more than 400 schools, organizations and events. She believes that everyone deserves a roof over their head and enough food to eat, as basic human rights. Meet Leanne, the high school junior from Chapel Hill, NC that took a terrible health condition and turned it into something positive. She noticed how awesome it felt to get a random gift from strangers while in the hospital, so she founded her own non-profit that helps kids in the hospital have better experiences. As a young girl, Nicole taught herself how to sew using a sewing machine her mother thought was broken and YouTube videos. Now, the senior at Cornell College in Mount Vernon, IA studies finance while also managing her very own clothing line. We stopped by her studio—a.k.a. the costume room in her college's theater department—to see how she does it. Charlotte Gould was born with a cleft lip and has had numerous surgeries to fix it. The third grader from Arizona didn't let that obstacle bring her down, though. Instead, she decided to sew rag dolls to sell on Instagram. Half of all her sales go to Barrow Cleft & Craniofacial Center at Saint Joseph's Hospital in Phoenix. Mikayla and Kennedy are sisters from Arizona that decided their community needed a snow cone stand. With the help of their mom, they opened Ken and Kate's Closet, where they sell snow cones at festivals and local events. At age 12, Lexi P. from Maryland has already published two children's books about self-love and confidence. After struggling with her own self-confidence issues, she wanted to inspire other girls to love their curly hair just like she learned to. She inspires many girls to love the skin they're in. Alina is an Idea Girl from West Bloomfield, Michigan. At 11-years-old, Alina created a business selling lollipops that also help prevent tooth decay, while 10% of their profits go to support oral health education in schools. She's appeared on Shark Tank, Good Morning America, and Extraordinary Kids. Meet Piper, the 22-year-old graduate of Bryn Mawr College that is working to change the way that we see food. Her organization, Human Seeds of Change, is a creative collaboration that helps consumers connect with the source of their food. She took her passions for travel, food, and photography and created her own company that combines all three. This 13-year-old from Virginia is finally giving kids a space to blog about travel, food, products, and more. Meet Ayonnah, the brains behind YaYaStars Between being super involved at school, she loves to travel and write about her experiences. Jasiya, aka Jojo, is a 12-year-old from Columbia, South Carolina who wants to help other kids explore their career interests and set achievable goals. Through her YouTube channel called Jojo's PersonaliTV, she encourages other Idea Girls to work on their public speaking, interviewing, and research skills. Sophie is a 6th grader from Los Angeles, California. After being inspired by the activism at the Women's March this year, she decided that she wanted to make a difference. She's making her own social and fashion statements through her Power Poms. Meet Mikaela, the 13-year-old from McDonough, Georgia. She was inspired by other kids doing cool things with their lives, so she decided to start her own sock drive for a cause. Then sparked the idea of a conference to spread confidence and positivity for girls like her. Meet Shelby, the 17-year-old from Jacksonville, Florida who owns a company that makes customizable, interchangeable jewelry. She sells these designs at her family's boutique, Yourself Expression, where she also helps select other items for sale. Meet Madison, the 5th grader from Eastern Passage, Nova Scotia, Canada who combined her love for dogs and baking into one awesome business. She currently sells homemade dog treats at nearby farmer's markets. Learn how this Idea Girl made her fun hobby into a truck that sells dog treats. After being bullied and dealing with low self-esteem, Hyjiah, an Idea Girl from Philadelphia, Pennsylvania decided that she wanted to make an impact on the world. She started her own nonprofit, SuperGirlzland, which encourages girls to express themselves and never feel alone. Meet Zori, AKA Jammy Girl, who took her hobby of making soap into a real business. The 12-year-old from Conway, South Carolina was inspired by the fact that she feels the most relaxed when she smells good and feels clean. Based on her own experiences, Zori wants to inspire others to pursue all goals despite any obstacles they may have. Simone, an 11-year-old from Jacksonville, Florida, took her love for baking and started her very own company. She started baking with her grandmother when she was just a toddler, and decided that she wanted to continue that passion and also use her talents to create an organization to empower other girls. Meet Bailey, the 6-year-old from Detroit, Michigan that decided that Chapstick wasn't cutting it and that the world needs a new type of lip balm. After perfecting her signature lip balm, Bailey is currently working on expanding her company to create nail polish, fanny packs, and more.